It’s OK if you haven’t always eaten a healthy diet, and any time is a good time to change your nutritional habits for the better. It’s especially important to eat right and get proper nutrition as soon as you find out you’re expecting. Moderation, monitoring, and momentum are the keys to keeping you and your baby healthy. 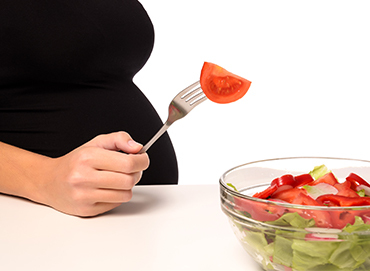 The thought that “you have to eat for two during your pregnancy” is a myth and it may cause you to gain too much weight. The baby needs just some extra calories to be healthy than you need. Gaining too much weight during pregnancy is not good for your health and can be risky for your baby’s health too. You’ll sometimes hear that regardless of what you eat, your baby will rely on the nutrient reserves in your body and get everything he needs. Fact is, research has found that what you eat when you’re pregnant can make a difference; your nutrition during pregnancy helps to establish a good foundation for your baby’s health for the rest of his life. You can give your baby a strong, healthy start by taking care of your own health and nutrition before, during and after your pregnancy. That said, the right amount of pregnancy weight gain varies for each woman and is based on how much she weighs before becoming pregnant. 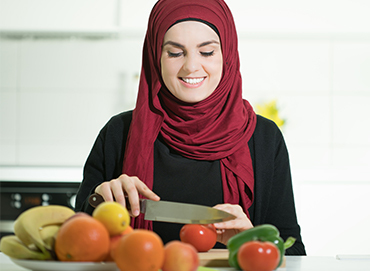 With a healthy approach an advice from your doctor, you can ensure you’re responsibly eating for two while achieving the pregnancy weight that’s best for you. 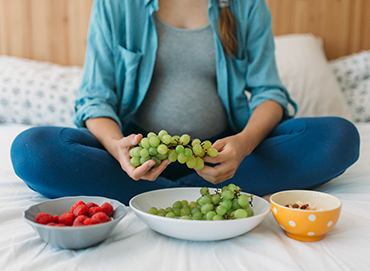 Eating the best-quality foods you can get and consuming the correct number of calories for your body type and lifestyle benefits your baby's health—and yours—at every stage of pregnancy. 1st trimester, continue your typical daily intake, typically 2,000 to 2,200* calories for most women during childbearing years. * While your baby’s calorie needs are small now, his needs for nutrients are high. So make every bite count. 2nd trimester, add about 340* calories a day. That’s not much; about 1 cup of fat-free skimmed milk and one slice of whole-grain bread with peanut butter and jam. During the 3rd trimester, add 450* calories a day. Again, it doesn’t take much; about 1 cup of low-fat vanilla yogurt, 1/2 cup of mixed fruit, and 1/3 cup of low-fat granola. Your weight gain during pregnancy impacts your baby’s health and your well-being during and after pregnancy. Try eating smaller, more frequent meals to avoid intense hunger. Watch portion sizes, eat slowly, and give your body time to digest food. Fill up on fruits and vegetables, which provide nutrients, water, and fiber with fewer calories. Focus on better-quality foods, and make adjustments in consumption based on activity levels. *Based on the Dietary Reference Intake (DRI).